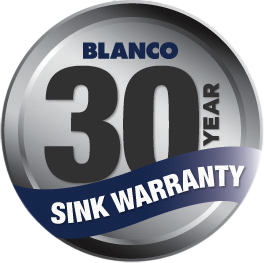 The Blanco Double Left Hand Bowl Inset Sink With Mixer Tap BTIPO8SR-BT489 comes with BT489 tap. -Quality finish for optimal Performance. - Strong rigid work surface. - Helps to prevent water escaping from the sink to your bench top. Single Lever Sink Mixer in "DR" Brass: Durable design with long lasting appearance. Durable design with long lasting appearance: Easy cleaning and maintenance free. 360o Swivel Spout: Allows better access to the sink for washing large items. Integrated Design: Integrated into virtually any sink design. Ceramic Disk Cartridge: Durable and long lasting ceramic disk technology. Long reach spout: Giving greater ability to clean larger items in confined space. Made in Australia: European styling and engineering.